Meet Idol Korea. She’s a Perfectionist, Family-Oriented, and a Music Lover. 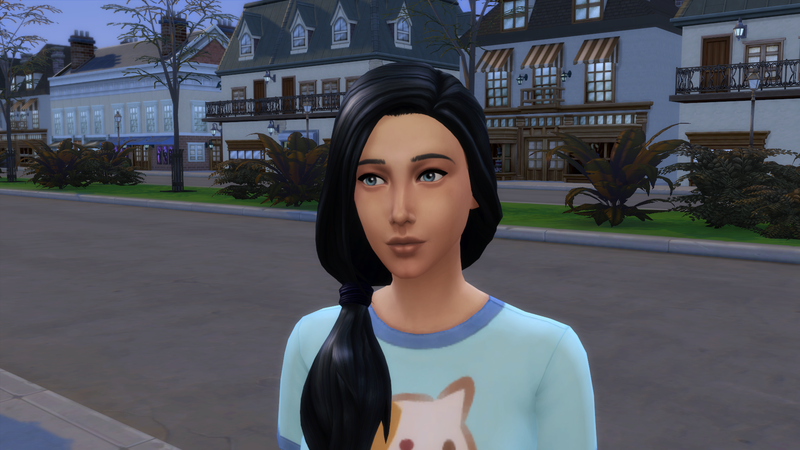 I will be shifting her LTW around, but she started on one of the romance ones for the bonus trait of Alluring. First thing I did was to send her out into town to meet possible candidates for fathering children. Found some possibilities at the library, but none jumped out as the one to do first. 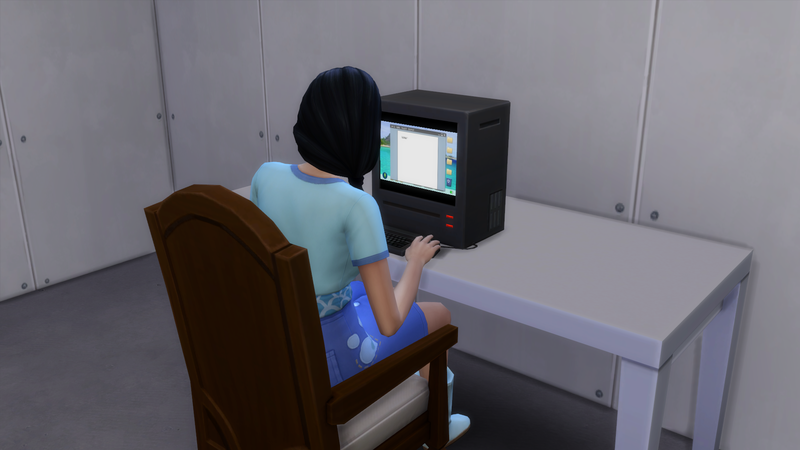 She is working on a novel when she’s not getting “distracted” by talking to the various men who come into the place. She eventually got tired so I sent her home and made her a house. It’s simple enough and will do for now. 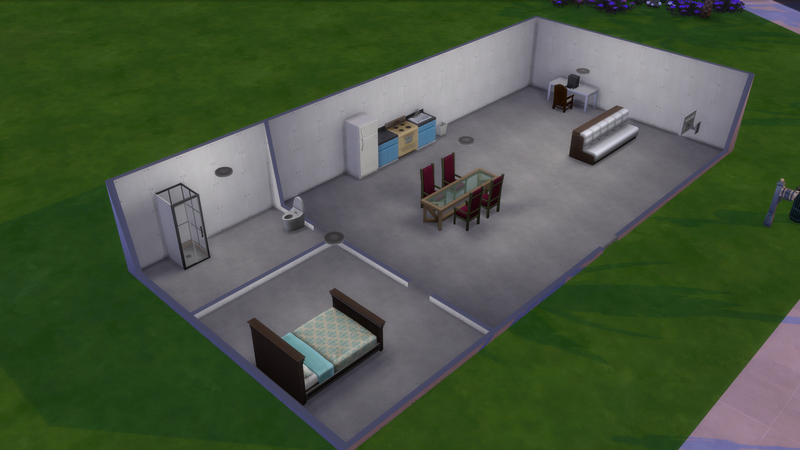 At least in Sims 4, they don’t get bad moods for not having flooring or wallpaper up like they do in Sims 3. 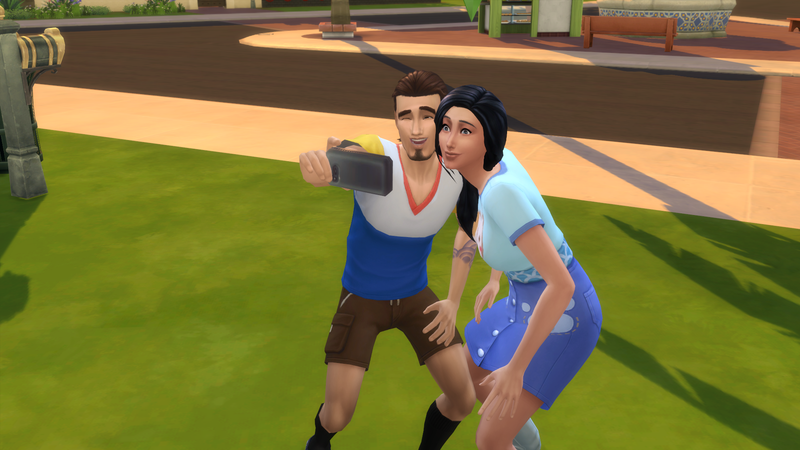 The next few days are spent finding more candidates, including Caleb Vatore and Don Lothario. Both will be used before the end of the challenge I hope. But you can totally see that Korea is so impressed with Don’s charms. 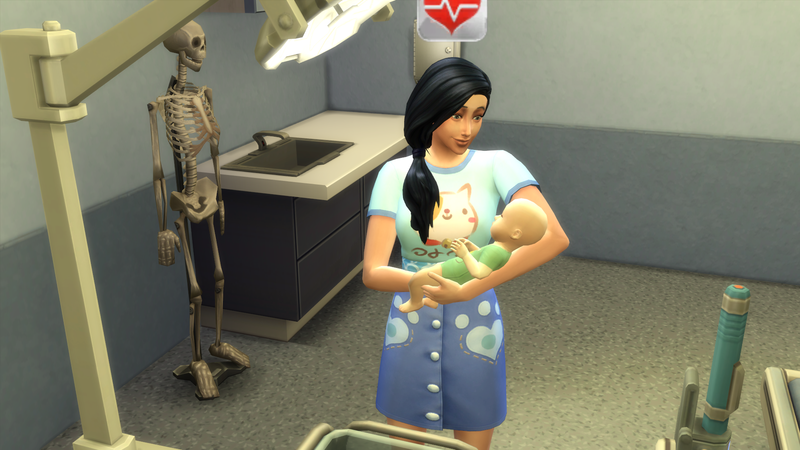 So impressed however, that we decided to make Caleb the father of her first child. Or at least that’s the plan as she began to woo him. He’s a vendor career wise so I’m not sure how much that will hinder getting him over to a place where they can try for a baby. And Korea did attempt to end the challenge before baby number 1 is even conceived. 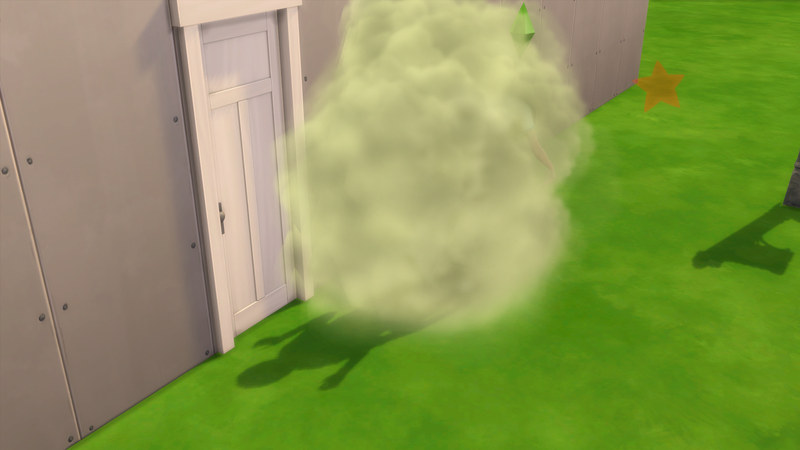 Luckily she was able to put herself out before she died. 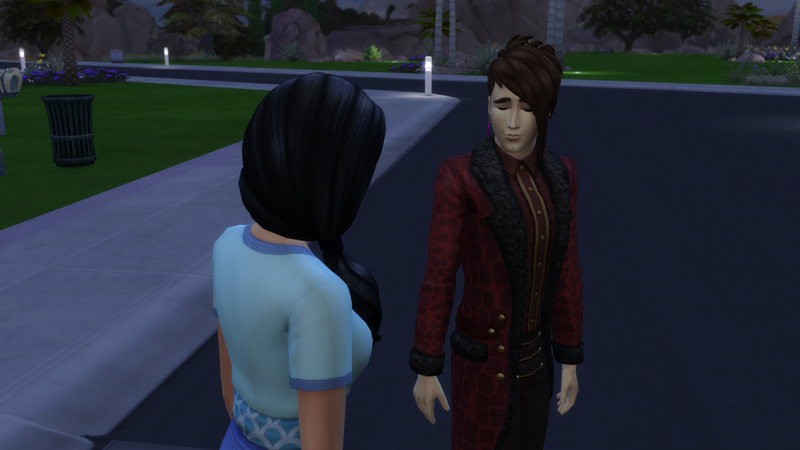 Caleb invited Korea out on a date. They had a great time. 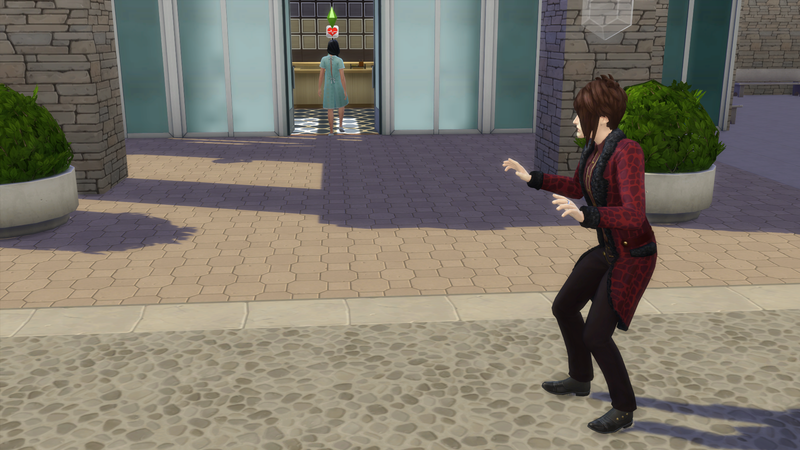 Caleb also invited Korea out on a date on Love Day, but silly me forgot to get a picture of it. Oops. And Korea is working on increasing her writing skill so that her royalty checks can be of a decent amount. Right now it takes multiple days of royalty checks to cover the bills. Brawl day in the neighborhood. She had a couple of fights and I think she won them both, but she didn’t fight enough to count for the event being considered successful in her eyes. 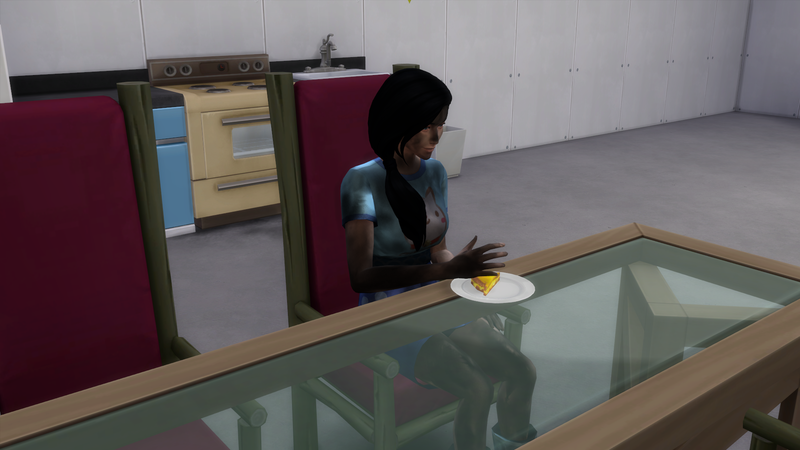 Oh well, she’s got more important things to do than spend time fighting. 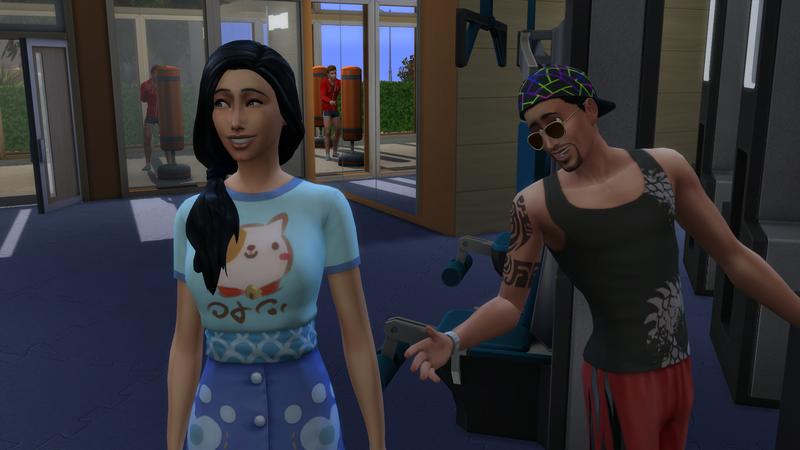 Soon, Korea invited Caleb over and they tried for a baby. Success on the first try and Korea spent the pregnancy increasing her writing skills. 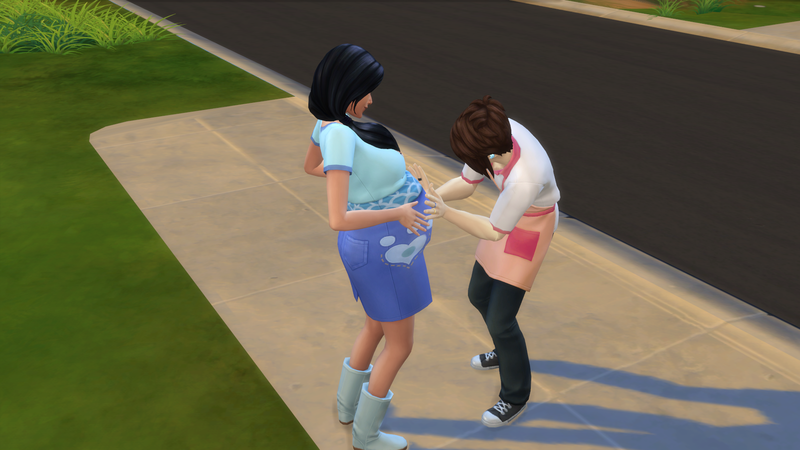 Nothing worth taking a picture of happens during the pregnancy. 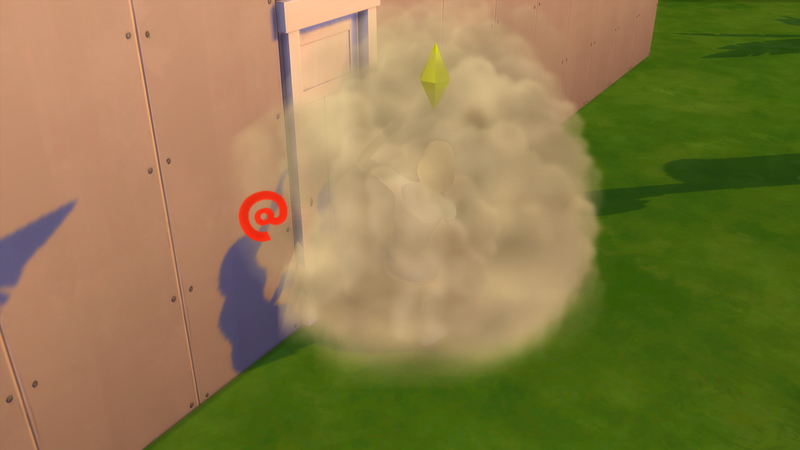 Decided to send her to the hospital to give birth and I send the father of the child there, too, but he panicked outside and then disappeared. Don’t know if his vendor job caused it or if that’s usual behavior for NPC fathers that aren’t moved in. But soon Korea gave birth to a baby boy named Yunho. They go home and Korea is a wonderful mother to him, but she is keeping an eye out for who she wants to be the father of her second child. And I think I’ve settled on this guy, Paolo Rocco. 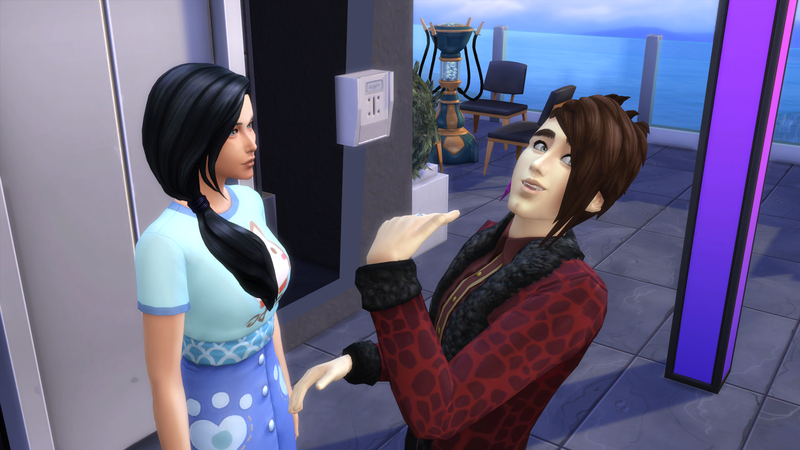 Korea also invited Caleb over and asked to just be friends so that there is no chance of any jealousy issues arising. Korea mostly spent the days however caring for Yunho and writing novels. I’ve got some time before I need to have who will be the father for baby #2 locked in. It isn’t too long before Idol Yunho ages to toddler and he’s got the Clingy trait. Yunho is my first clingy toddler, so we’ll see how that goes. 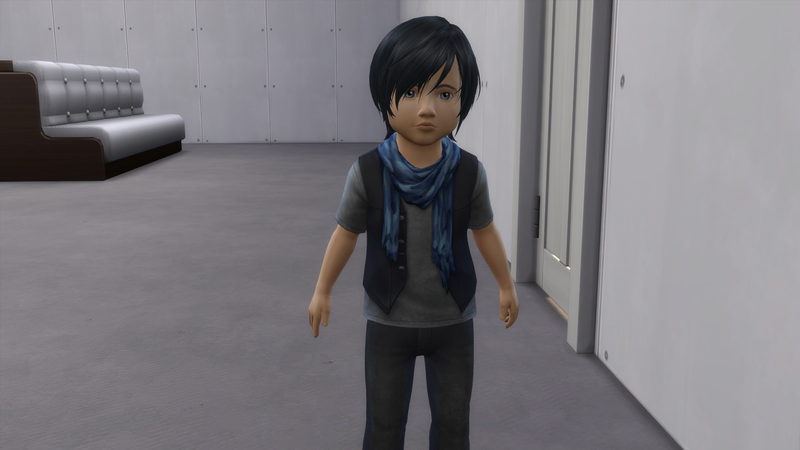 Next up for Korea is getting the house ready for toddler Yunho and getting the money for adopting some kids. Because that apparently takes $1000 to do. 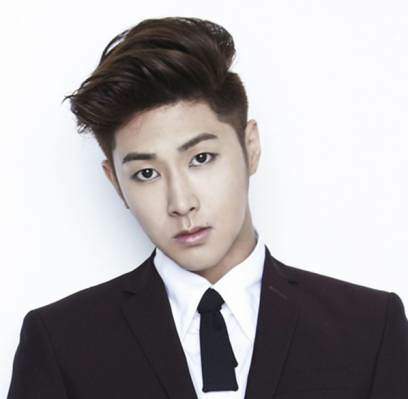 Idol Yunho is named after Jung Yun Ho. His stage name is technically U-Know, but he is referred to be Yunho fairly often, which is why I chose that instead. Both are pronounced the same way to my knowledge. He was born on February 1, 1986 in Gwangju, South Korea. He is the leader of TVXQ and currently has the positions of main dancer, main rapper, and vocalist. TVXQ debuted in 2003 under SM Entertainment as a 5 member group consisting of U-Know (Yunho), Hero (Jaejoong), Micky (Yoochun), Xiah (Junsu), and Max (Changmin). In 2010, Hero, Micky, and Xiah sued SM Entertainment for various issues involving their contract, scheduling, and money. This eventually led to the three of them leaving SM and therefore leaving TVXQ. Yunho and Changmin decided to continue TVXQ as a duo. Hero, Micky, and Xiah joined company C-JeS and debuted there as the band JYJ in 2010. TVXQ has had only 1 hiatus since debuting in 2003. The hiatus was from April 2015 to August 2017 when Yunho and Changmin were doing their mandatory 2 year Korean military service. The following YouTube video is of the group’s song “Catch Me”. It is where the name of the chapter came from. It was released on September 24, 2012 and is obviously a song done after the split. And I’m so glad that your theme is kpop idols! ❤ I LOVE IT!